What is the Responsibility of the Church? The current refugee crisis in Europe has become truly shocking in its sheer scale and intensity and it is becoming increasingly obvious that its implications will be felt for generations to come. And if this is the conclusion one comes to here in the southern United States—admittedly, quite a comfortable distance from actual events on the ground—then I can only imagine what those who are experiencing such an onslaught firsthand must feel. And yet I have come to believe that we, as the Church of Jesus Christ, have failed to grasp the true magnitude of what appears to be happening. I should state up front that the observations that follow are directed solely at those in the Church. I readily understand that the motivations and actions of governments and other politically-motivated persons and organizations are often not aligned with ours. I offer no complaint. We simply have different roles to play in the world. So please understand that I am not out to make a political statement. What I do hope to accomplish is to provide a bit of historical context to the current crisis and to hold up a mirror to the actions of the Church so that we can re-evaluate both our individual and collective responses. I have many Christian friends in the US and both eastern and western Europe—friends who, under normal circumstances, I consider to be good, well-meaning, and rational people. My personal experience has shown them to be loving, generous, and thoughtful, with most having a well-developed and healthy sense of global justice and equality. And yet, over the last few months, I have been shocked to find my Facebook and Twitter feeds overflowing with some of the most hate-filled and prejudiced statements and articles regarding the flood of refugees across Europe that I could ever have imagined. Looked at as a purely political issue, this type of fear and resistance is understandable, though disappointing. However, the Church, of all institutions— keeping in mind that we, as individuals, are the Church—cannot see this as purely political. Rather, we must look beyond the political implications of this tragedy and attempt to work out what God would have us do in these difficult circumstances. In this, I believe, history provides us with a number of useful lessons. In Scripture we see numerous examples of how God uses geo-political turmoil to further His purposes on earth. Think of the famine that drove Jacob and his sons into Egypt and the massive dislocation that brought them out again. Think of the Assyrian and Babylonian conquests that brought God’s judgement and exile on the people of Israel and then Babylon’s subsequent fall to the Medo-Persian Empire which facilitated their return. In each of these examples we can see in retrospect that God was orchestrating events to accomplish His purposes. Was it comfortable for those who were forced to live through it? Absolutely not. And yet it is a pattern we see again and again in Scripture. At that time—the time chronicled in the Old Testament—His purposes centered primarily on the setting apart of a specific people through which He could bring blessings to the whole world. And it seems quite clear from the examples cited, and many others that were not, that God in His faithfulness will relentlessly pursue His purposes, either with or without the cooperation and participation of His people. But, let us consider whether we can detect a similar pattern in the present age—the age of the Church. God’s ultimate purpose remains, as before, the blessing of the whole earth. However, the conduit through which He chooses to work has been expanded. He now looks to believers of all nations, not just Israel, to further His plans. And yet, the Church, like Israel, has had periods of both obedience and disobedience during which God has continued His relentless pursuit of His purposes, sometimes with, and sometimes in spite of, His Church. This pattern can be detected very early in the life of the Church. You will recall that in Acts 1:8 Jesus declared to His disciples that they were to be His “…witnesses in Jerusalem and in all Judea and Samaria, and to the end of the earth.” And yet in spite of Christ’s command, we find the early Church some 4 or 5 years later, although having expanded rapidly in Jerusalem, still with no coordinated effort to spread the gospel into surrounding regions. What the work of the apostles failed to produce was accomplished instead by a period of intense persecution in Jerusalem triggering a rapid scattering of believers throughout the Roman Empire. We now know that the direct result of this diaspora was that, in less than 200 years, Christianity had spread across the width and breadth of the Empire, eventually becoming its official religion. Unfortunately, once it had become aligned with a political system, Christianity soon lost its appeal to any who might oppose the policies of Rome. Even as the Church flourished within the Empire, it made no systematic effort to reach those beyond its limits. And yet God’s unchanging purpose, the blessing of all the earth, remained. With or without the cooperation and participation of the Church, He would see it done. So, if the Church would not reach out to the heathen, then the heathen would reach out to the Church. This ultimately resulted in the previously unimaginable sacking of Rome by the Goths in the 5th century. Though themselves the conquerors, these rough, Germanic tribesman, having now come into contact with orthodox Christianity, were converted. With the fall of Rome came chaos and for several centuries the gospel surged and receded across large parts of Europe through the exertions of traveling Celtic missionaries and the early monastic orders. And although we owe an untold debt of gratitude for their tireless efforts in spreading the faith as well as in the preservation of the classical Greek and Roman learning, they were unable or unwilling to push the boundaries of Christendom into the furthest, darkest reaches of Northern Europe. But God’s unchanging purpose remained. Thus, by the 9th century, Europe found itself facing the terrifying prospect of being overrun and plundered by vicious bands of pagan raiders issuing forth from what is now Denmark, Norway, and Sweden. 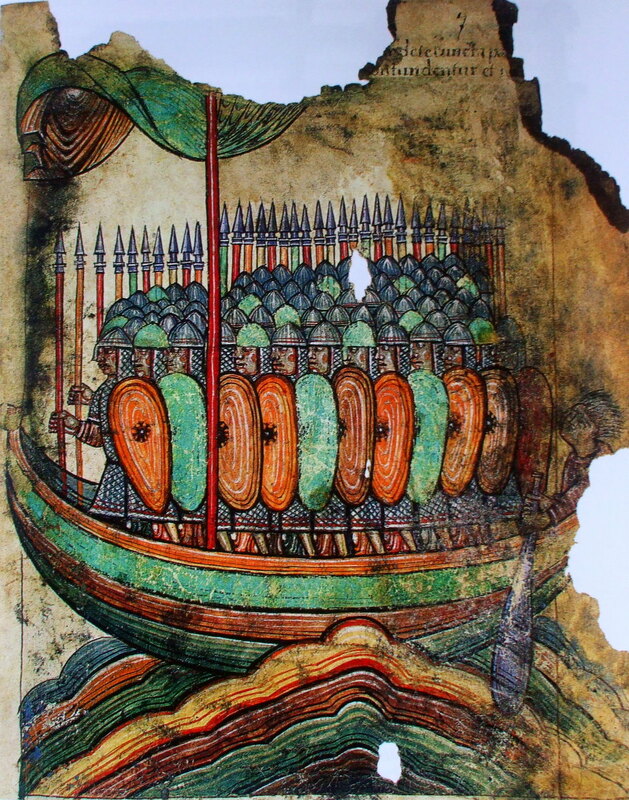 It is these Viking raiders who would provide the inspiration for the old English prayer, “From the fury of the Northmen, O Lord, deliver us.” And although the next 250 years would see great disorder and loss of life, in the end, even the pagan and bloodthirsty Vikings were converted to Christianity. Fast forward nearly 1,000 years. The Church once again finds itself standing on the outside looking in at a vast portion of the earth that is highly resistant to the gospel. For centuries we have failed to make a meaningful impression on the Muslim-dominated nations of the world. Whether this is the result of events beyond our control or through our own failures is beside the point. God’s unchanging purpose remains. He will see it done, with or without the cooperation or participation of the Church. So what, then, are we to make of recent events in Europe? 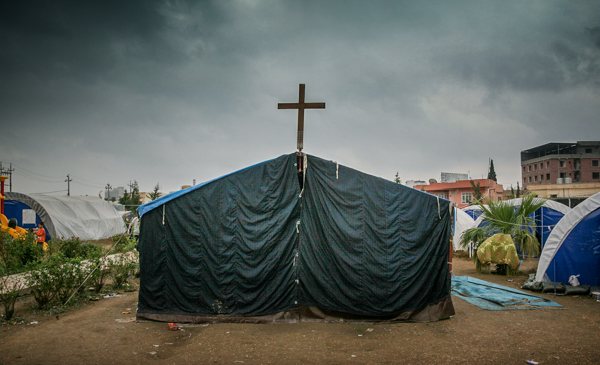 Could it be that God is using these tragic circumstances to allow people who might not otherwise encounter the gospel to do so? Could it be that He is breaking apart the social structures that have isolated large Muslim populations from other ideologies? Perhaps He is using extreme measures to awaken the Church to its responsibilities and its potential. What if He is bringing judgement on the nations of the West? Quite frankly, I don’t have definitive answers to all these questions. But nor do I feel that I need them. I believe that God is at work in directing human events to fulfill His purposes. And those purposes involve blessings for the whole earth. Where poverty, famine, warfare, prejudice, and injustice hinder the provision of those blessings, the Church is called to act. This is precisely what I see in the current refugee crisis. Let government ministers and politicians sound the alarm. Let them throw up barriers and attempt to profit off dredging up centuries of mistrust and prejudice. That has nothing to do with us—the Church. We are called to set aside these things. We are called to minister “unto the least of these”. We are called to share the love of Christ with all who thirst for truth, regardless of race, regardless of language, and regardless of ideology. I therefore challenge all my brothers and sisters in Christ to stop perpetuating the fear and propaganda so prevalent in this discussion. I urge you to separate in your mind the role of government and the church. And having done so, I ask you to take your place in the body of Christ and do what He leads you to do in addressing this terrible tragedy. God has an unchanging purpose that He will accomplish with or without us. And yet He has offered us the opportunity to join Him in its completion. This entry was posted in Faith, History and tagged Christian Church, Christianity, Europe, history, Refugees. Bookmark the permalink. What a long post, James. I do agree with you, however. I think our Lord it very pithily when he said ‘‘Truly I tell you, whatever you did for one of the least of these brothers and sisters of mine, you did for me.’ (Matthew 25: 31-46). In the UK, the response to the crisis has been a little mixed, but broadly and substantially here there is a lot of good will towards refugees. Just yesterday, our church members donated men’s boots, waterproof clothing, camp bedding and food, and I took them to a friend who is tomorrow driving to Calais, France (where refugees are subsisting in camps in the cold and wet) with our stuff and stuff donated by others. God bless her. However, we, a small and very full country, are about to take 20,000, and the Germans are taking many more. Other countries need to do their bit too. Thanks, Charlie. It is good to hear about the Church responding in love during circumstances like this. Cheers.